Laplace equation (e.g. 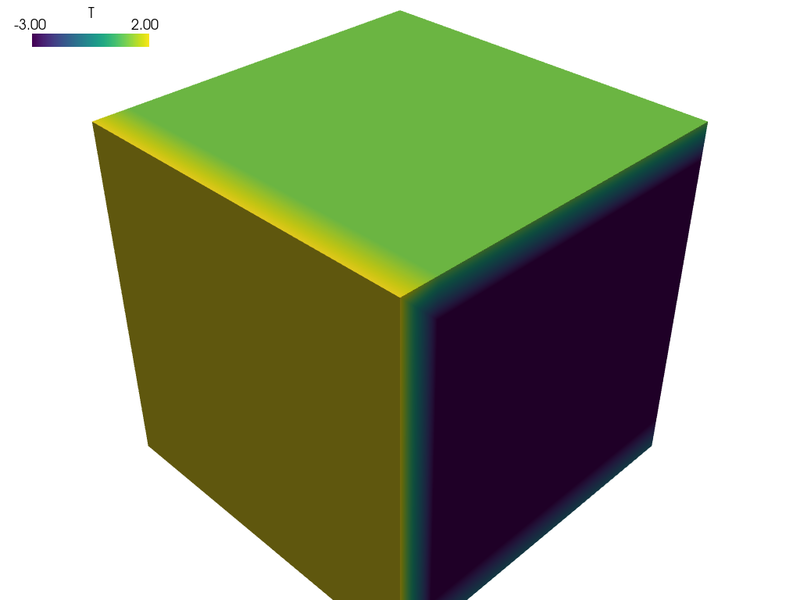 temperature distribution) on a cube geometry with different boundary condition values on the cube sides. This example was used to create the SfePy logo. used to create the SfePy logo.